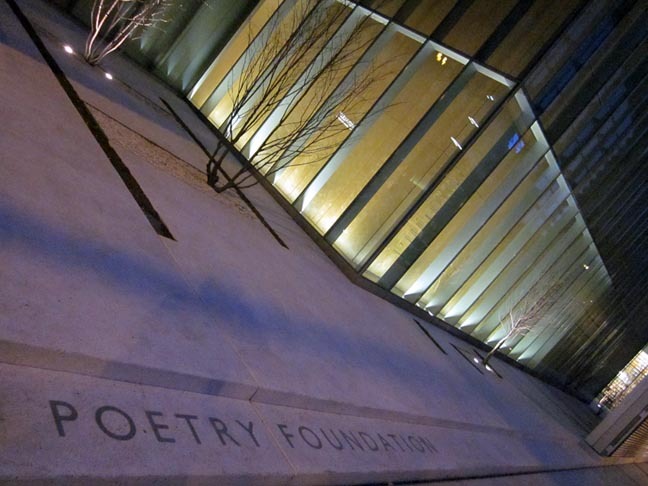 CHICAGO — Poetry magazine, published by the Poetry Foundation, celebrates its centennial in 2012. Founded in Chicago in October 1912 by editor Harriet Monroe, Poetry is the oldest monthly devoted to verse in the English-speaking world. As the magazine turns 100, it holds fast to the principles that guided it from the beginning: to discover new voices, present new work by internationally recognized poets, and enliven discussion about and readership for contemporary poetry. Poetry established its reputation early and published the first important poems of T. S. Eliot, Ezra Pound, Marianne Moore, Wallace Stevens, H.D., William Carlos Williams, Carl Sandburg, Sylvia Plath, Gwendolyn Brooks, and other now-classic authors. In recent years, more than a third of the poems published in each issue are submitted by writers who have never before appeared in Poetry’s pages. By showcasing both established and emerging poets alongside provocative reviews, essays, and criticism, Poetry sparks conversation and brings new readers to the art form. No one would be more astonished by Poetry’s centennial than Monroe herself, whose “little magazine” often teetered on the brink of bankruptcy; indeed, at the time of her death during the Great Depression, she was deeply skeptical about the magazine’s survival. But the magazine did more than endure—in recent years Poetry has enjoyed record circulation and won prestigious awards, including two National Magazine Awards in 2011.